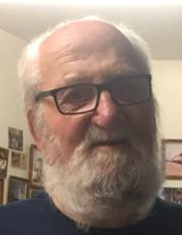 It is with thanksgiving for his life that the family of Bohdan “Bob” Nestor Chornoby, announces his passing on November 12th, 2018 at the age of 87 years. Bob was born on June 22nd, 1931 to the late George and Victoria Chornoby in the R.M. of Ethelbert, Manitoba. He received his education at Christian School near Sclater, Manitoba. He spent his life working for the CNR. Bob began his career with the railroad as a track maintainer, working in the Sclater area from 1950-1960. During the summer of 1960 he worked as a machine helper. In 1961 Bob went on to be a machine operator, followed by a time where he spent his days working on B & B as a bridge between 1962-1963. He returned to the job of track maintainer in 1963 and stuck with this task until 1986. That year, he took up work as a yard man in Swan River. Her performed this job until 1994 when he retired. Railroad employment took Bob to many different communities and regions of the province over the years. He spent time in Sclater, Pine River, Gillam, Churchill, Thompson, Lynn Lake, Cranberry Portage, Flin Flon and Swan River as well and many other places. Bob moved to Minitonas in the early 2000’s and enjoyed his life and all of the friends he made there until the time of his passing. Bob was predeceased by: his parents, brothers, Slowka, Johnny, Rudy, Walter and Ernie; sisters, Olga, Julia and Rose; as well as numerous extended family members. Bob is survived by: his brother George (Pauline); sisters, Stella and Evelyn and by numerous nieces, nephews, cousins and friends.